4k00:37NEW YORK - AUGUST 9, 2014: tourists and New Yorkers, people walking in crowded, busy Times Square at night in 4K in New York. Times Square is a major intersection and neighborhood in Manhattan, NYC. 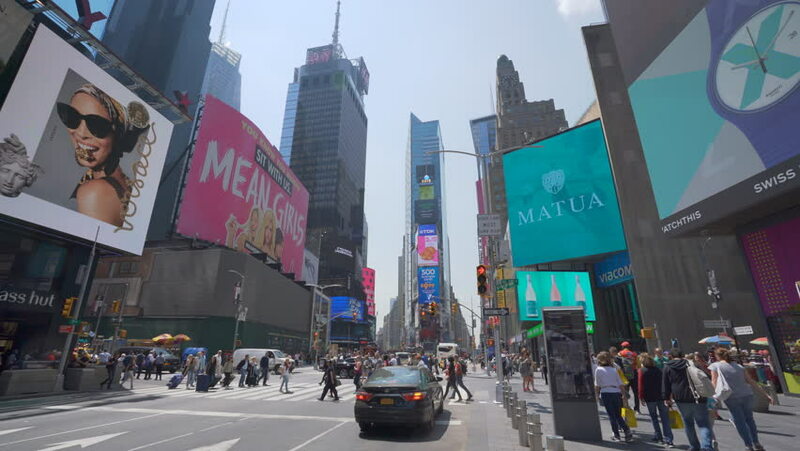 4k00:09NEW YORK - MAY 4, 2015: Crowds of tourists gather on New York City's Times Square at lunchtime on May 4, 2015. it is a landmark destination of the city and the USA filmed in 4K. hd00:18Tokyo, Japan : 20/02/2016 : The atmosphere of Shinjuku crossing with people are crossing the rod at Shinjuku, Tokyo, Japan. 4k00:20MADRID, SPAIN - MARCH 27, 2018: Unknown people on city street. Madrid capital and the largest city of Spain.